Recently I bought an early Bundeswehr Panzer photo lot from around 1960. Amongst them two huge photos of a well known "Tiger II" and "Panzer IV" in unrestored condition. Probably taken around 1960. Both tanks were captured by the Allies after the end of WWII. The Tiger II was shipped to the US and the Panzer IV to the UK. In 1960 they were returned to the German Gouvernment and shipped to the Panzer base of Munster which was brought into service in 1958. Once there they had been parked until 1983 when they started restoring them. The same year the well known Panzer museum opened at Munster. Last edited by Oberbootsmann; 03-28-2018 at 01:45 PM. Last edited by schneifelquelle; 03-28-2018 at 02:28 PM. Great video, thanks for the link. The restored Panzer IV "Friederike" now has the turret number "413". When it came back to Germany in 1960 it had its original turret number "419" which is clearly visible in my photo. Any idea why thay had changed the number from "419" to "413"? 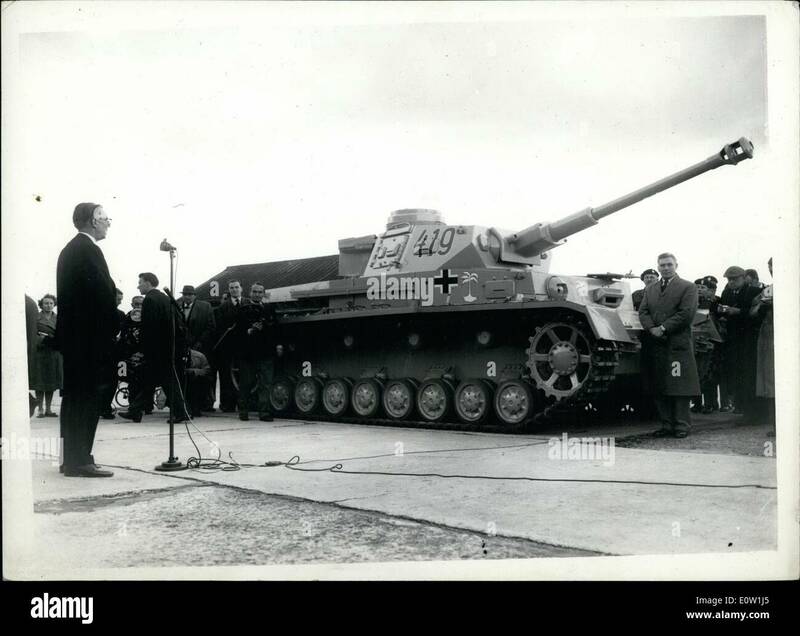 Any idea why the fenders on the restored Tiger II are different than those on the Tiger in the black and white photo?